A rural Missouri girl, Kate Brauning fell in love with writing at a young age. She was that child who practically lived in the library, discovering all its treasures. Now, she resides in Iowa with her husband and a Siberian husky, and works in publishing. She loves to connect with readers. If you see her and say hi, she might invite you for a coffee—if you want to talk about books. Did you ever want to be anything besides write? Kate Brauning grew up in rural Missouri and fell in love with young adult books in college. She now works in publishing and pursues her lifelong dream of telling stories she’d want to read. This is her first novel. 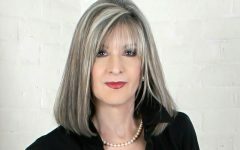 To learn more about Kate, please visit her website and connect with her on Twitter at @KateBrauning.